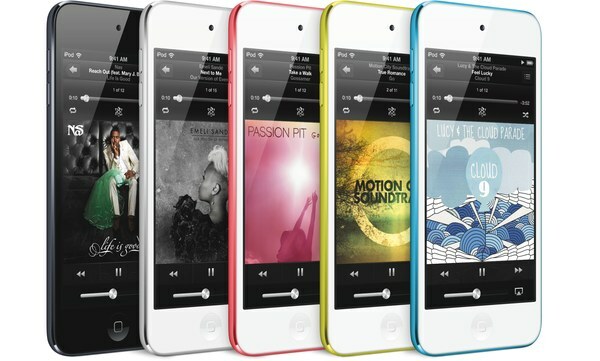 The world was waiting for the iPhone 5, yet Apple saved the biggest updates for the 2012 iPod touch. No, it won’t sweep the floors or make mimosas for you, but Apple’s best-selling media player has a 4-inch Retina display display, 5MP camera, improved FaceTime camera, LED flash, A5 chip and greatly improved battery. Mo’ better battery, huh? With 40 hours of music and 8 hours of video playback, consumers get battery performance that’s equal to the old model, while bringing home new functionality bacon — bigger display, better cameras and a much, much faster processor. On the subject of cameras, the FaceTime camera now captures 1.2MP (702) resolution and the still photo side delivers 5MP, five-element lens + 2.4 aperture + Autofocus, LED flash, tap to focus video or still images, Panorama image stitching, HDR captures, hybrid IR filtering and more. And, Siri. This feature is going to reduce the number of times every day my kids say, “Dad, what’s the _____? Dad, where do I _______? How many whatevers guzinta a whozywhatsit?” This is a big deal. Apple’s, of course, made the 2012 iPod touch lighter and thinner — 88g vs 101g, 6mm thin vs 7.2mm. These things are significant given all of the new hardware-based functionality baked into this device, which is still a product category unto itself that now comes in five colors. 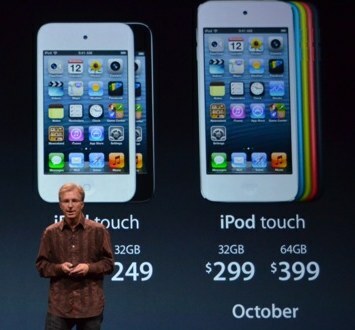 The one “wait a minute” thing about the 2012 iPod touch is pricing. Last year’s iPod touch is still around at $199 and $249 (16GB, 32GB), while the new, new models come in at $299 and $399 (32GB, 64GB). Honestly, all of these products would have benefited by being priced $10 (or more) less, though that would have thrown off Apple’s ever symmetrical and apparently utterly rigid price grid.